tinyBuild is an independent game development studio based in Bothell, Washington, with a corporate office in Utrecht, Netherlands. It all began in 2011 with Alex Nichiporchik, Tom Brien, and Luke Burtis. 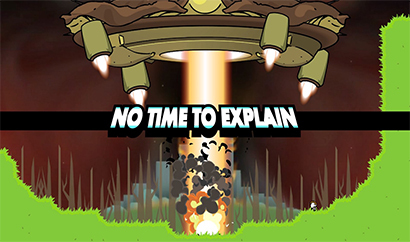 Their adventure began with the success of No Time to Explain and SpeedRunners. Since then, the team has grown not only in size but in their creative ventures. They are now a major publishing partner for dozens of quality indie titles around the world. Many of these games include titles such as Clustertruck, Hello Neighbor, PunchClub, GraveyardKeeper & more have been released across PC, mobile, and consoles. The tinyBuild community has grown over the last several years and continues to actively grow. Keep in touch with current news and games via social media such as Facebook, Twitter, Discord, YouTube as well as Twitch.